Awami League Presidium member Syeda Sajeda Chowdhury has been made the deputy leader of the House for the third time in a row. 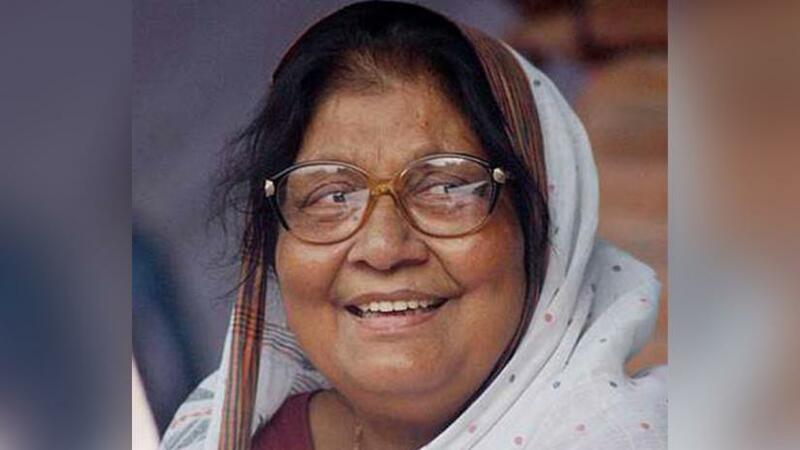 In 2009, Chowdhury had become the first woman deputy leader of parliament after being elected lawmaker from Faridpur-2 constituency in 2008 general election, said a press release on Monday (Feb 11). A language movement veteran and one of the organizers of the Liberation War, Chowdhury was re-elected in 2014 and 2018 from the same constituency. She had been tasked as the deputy leader of the House for the two consecutive terms. Her nomination has been endorsed by Speaker of the Jatiya Sangsad Dr Shirin Sharmin Chaudhury and it came into effect from February 7, said the notification.